Thank you for your interest in Lynnette Thredgold. 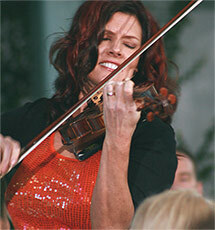 Lynnette’s music is breathtaking and full of passion! Before you know it, you become a part of that passion too! She has so much energy and talent that audiences are on their feet before the end of the performance! Bring this energy to your audience! It will be an event they will never forget! Feel free to browse through the links to the right. Be sure to listen to sample music clips by clicking on the Music link. You’ll see what I mean about music with passion! Give us a call (1-888-THREDGOLD) or send us an email to ask about Lynnette’s availability and pricing for your event, or for any other questions you may have. Lynnette has entertained audiences at public concerts, corporate conventions, and private dinner meetings…in living rooms, intimate theaters, full-size concert halls, outside festival arenas, and just about every place in between. She takes special care in presenting each concert—lighting effects, costume changes, staging, musical scoring—and will make sure your event is perfect! To create her unique style, Lynnette commissions composers to orchestrate, arrange, or write new compositions for her shows. Chuck Penington of Mannheim Steamroller, John Bisharat (orchestrator for John Tesh), Jeffrey Price and Alden Terry are a few of the talented professionals she has collaborated with. To accommodate a variety of venues and budgets, Lynnette performs just as easily with or without her six-piece backup band. When a more intimate setting is preferred, she plays solo, with her band members (piano, bass, drums, harp, reeds, and flute) on recorded accompaniment.